Sometimes my husband volunteers to make these popovers. So that you should know it simple and easy it is! With a cup of freshly brewed coffee, sunny side up eggs and a few crispy bacon strips, this is a perfect Sunday brunch. Place the popover pan in the center of your oven. Preheat the oven to 425F/218C. It is important that the pan is preheated too. In a big cup or bowl, add all the ingredients. 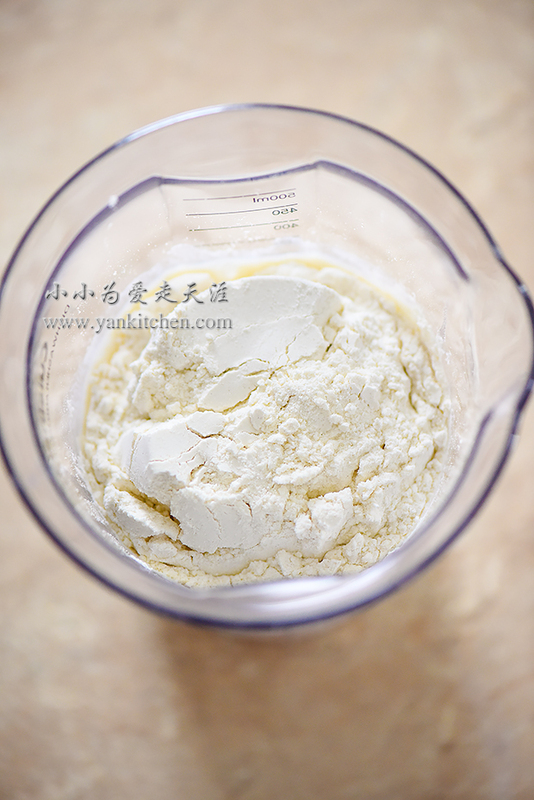 With a hand blender, blend all ingredients together until the batter is runny and smooth. If you don’t have a hand blender, a regular blender would work just as well. Get the popover pan out of oven, spray or brush with oil or melted butter. Pour the batter evenly and quickly. Send back to oven and bake for 20 to 24 minutes or until popovers are puffy and golden brown. It is fun to watch how they puff in the oven. Serve immediately. The moisture from inside of the popovers may make them mushy and chewy if you let them sit too long in the plate. The recipe is for two people. If you have more than two dining together, consider doubling the ingredients in the recipe. 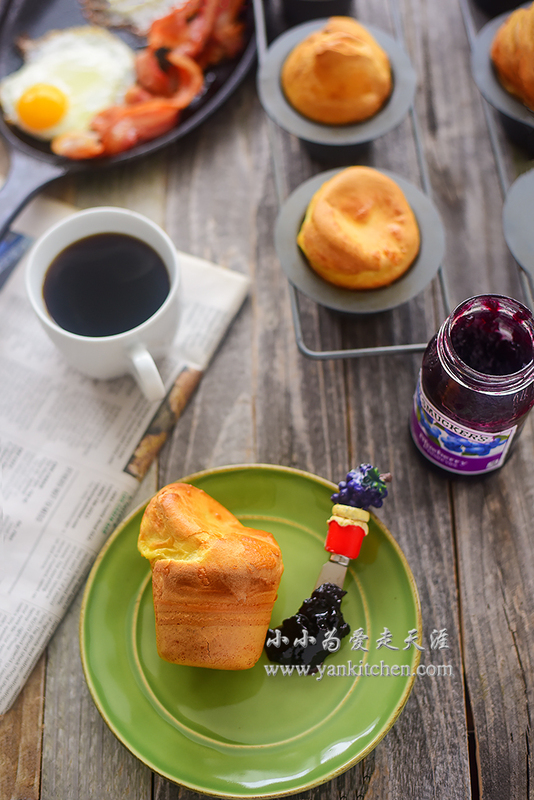 We love to have the popovers with honey or jam. They are so great together!